Challenging convention, it was the students, from Loviselund School in Hässelby, Stockholm, who had the honour of marking the ground breaking ceremony. This all took place as contractors began construction work on the real site nearby - the first time a property development has been launched simultaneously in both virtual, and literal reality. 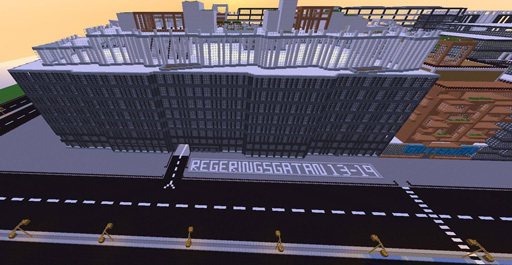 The kids were then challenged to design and rebuild their own unique interpretation of the Urban Escape Stockholm neighbourhood in Minecraft – built by online gaming community Team ProPain. One of the children, Michelle, said, "We built two swimming pools on the roof! And a big aquarium with lots and lots of octopuses! 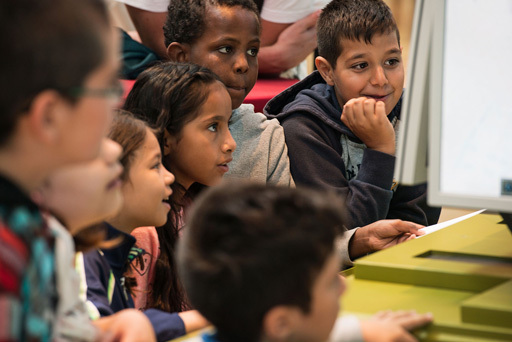 You cannot put horses up there on Minecraft as they don't like water and will be mad if it's too slippery." "If I work in an office in the future, I would have plenty of flowers and trees so it won't be as boring. So, today, we built apple trees and lots of plants inside the office." Set for completion in 2019, Urban Escape Stockholm will comprise five buildings, four streets and two squares – including a shopping centre, two hotels, office and retail space, restaurants, venues and the pioneering Epicenter, Stockholm’s first innovation house.